As a parent I think it's our responsibility to teach T how to respect and treat women, don't get me wrong, he has a fantastic role model in The Hubs but I think he does need a little extra help to show that it's not all about grand gestures the little things matter too. 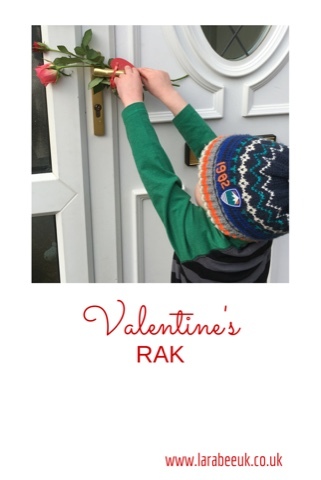 We created this little RAK for our friends in the village. 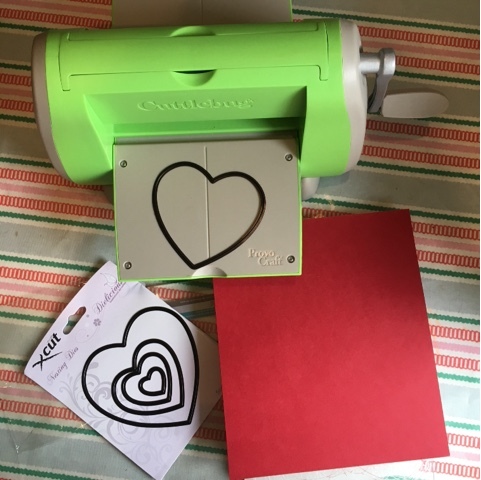 I cut my heart shapes out using my cuttlebug but you can just as easily cut out by hand. 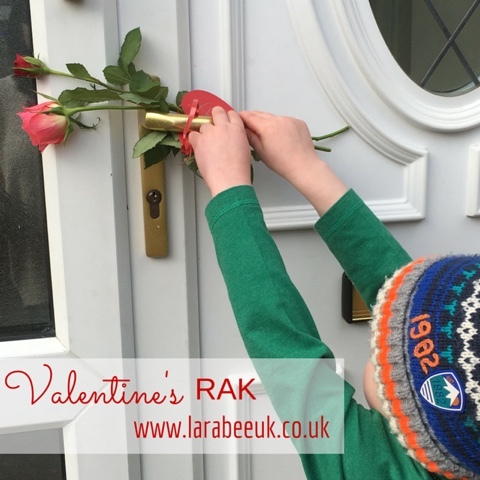 Simply all we did was write on a message, punch a hole and tie to the roses, we left a really long loop so we could attach to our recipients doors! 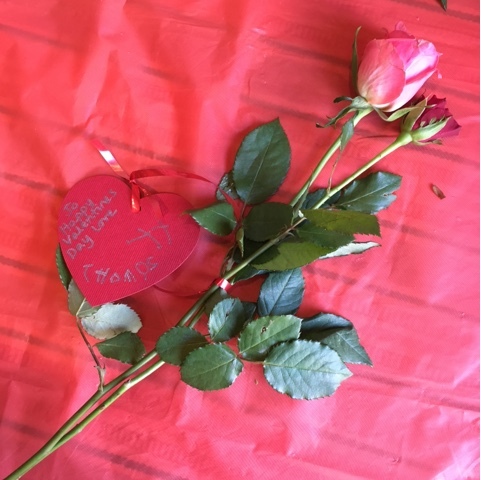 We made 7 of these and took them round to our friends, we had some lovely feedback from our friends and T even got a valentine back from one. I'm really glad I helped T to do this, I think this could be a nice little new tradition for us to do each year. 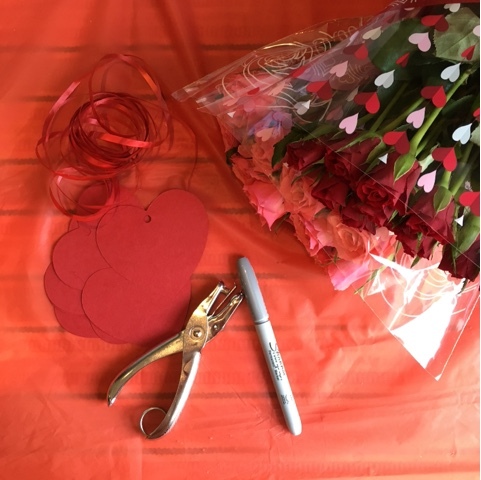 What a lovely simple Valentines idea! I'll have to do this with my girls; they'll love it. How great is your cuttlebug? I've not seen one of those before! This is such a lovely idea. When I was little I used to make cards for all of the old people in my street in case their other half had forgotten or to make sure they weren't alone! Aww, this is so sweet. I love the idea and what a wonderful thing to teach your little one to do. 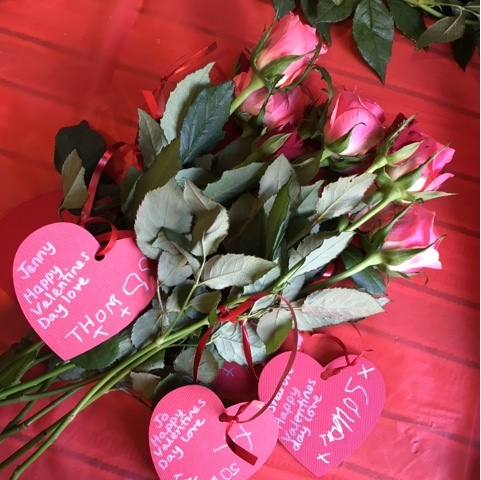 It must have been so special for all those who received the card and flower. Fab. What gorgeous roses and I like the idea of creating random acts of kindness! This is so creative. The roses are so beautiful. That's really cute and he looks very proud to be doing it too! That is sincerely such a sweet thing to do. I would be so touched to be the recipient. This is such a beautiful gesture and i am sure all recipients were really pleased and excited to receive their roses. Ah this is such a wonderful idea! I need one! How lovely! What a kind thing to do, great to teach children to be kind and thoughtful like this.